Today, more than ever, CIOs are faced with developing the roadmap for their organization's journey to digital transformation. This often includes if/when they are moving to the cloud and how to drive business innovation through connection of people, data, devices and networks in real-time (IoT). Over the last few years, a greater priority has been placed on the 'fully-connected technology ecosystem' and organizations are continuing to invest more in this digital imperative. 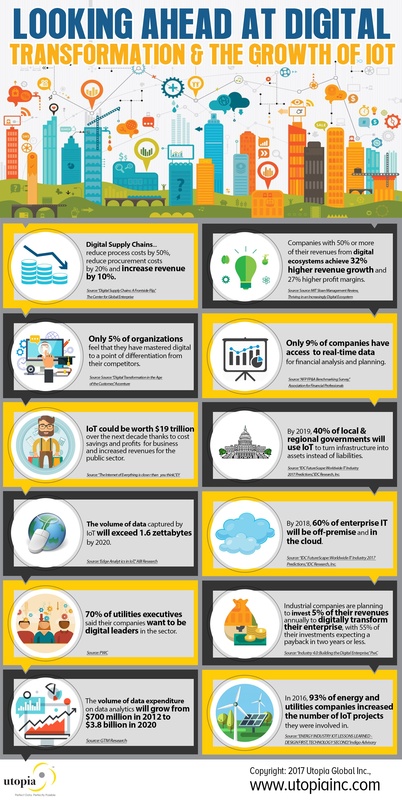 The infographic below shares some surprising stats around the adoption of IoT and digital transformation.